A Tibetan man who suffered severe injuries when the Chinese police used explosives during a peaceful protest succumbed to his injuries. A Tibetan man has succumbed to his injuries, nine months after he sustained severe injuries in a violent police crackdown on peaceful protest in Ba Dzong region of eastern Tibet. During the same protest on March 18, 2012, a Tibetan minor was killed and several others were injured after Chinese police used tear gas and explosives to disperse the crowd. According to Sonam, an exiled Tibetan, Gyalrig Thar, 35 passed away in a hospital in Siling after failing to recover from severe injuries to his head caused by the use of explosives and brutal police beatings. He passed away on November 17, 2012. The monks, carrying the banned Tibetan national flags, had marched to the local Chinese government office. According to TCHRD, Thar had joined the peaceful protest calling on the Chinese authorities to release the detained monks. When Chinese authorities didn’t release the monks, the protests outside the local government office intensified in the afternoon. A 12-year-ol Tibetan boy died in the violent crackdown and many others were injured and hospitalised under strict surveillance. Gyarig Thar was born in Gon-gongma Tagkor Village in Ba Dzong in Tsolho region of eastern Tibet. He is survived by his 10 family members including father, Gonpo, mother, Tsering Tso, sons Chagthar Gyal, 13, and Taglha Tsering, 10. 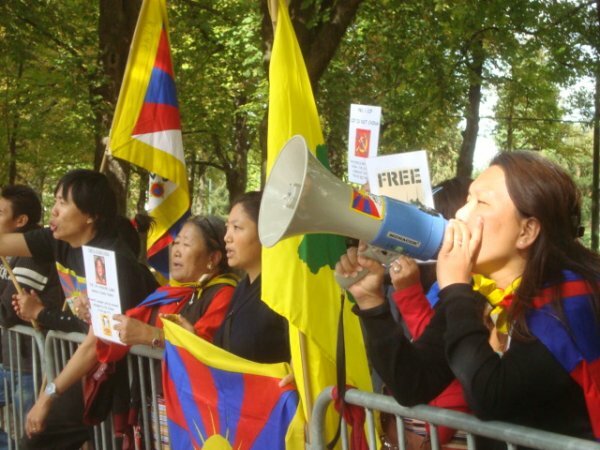 The year 2012 witnessed as many as 83 self-immolations and a series of mass protests against Chinese rule in Tibet. Chinese authorities have used violent force and live ammunition to quell the protests and sentenced Tibetans found “guilty” of airing their views to lengthy jail terms.